Have you ever found small sores or fever blisters in and around your face? They appear to be small and are not widely noticeable but can irritate you a lot as they are itchy in nature. Let us take this opportunity to tell you more in detail about these sores that you get on different parts of your face including the area round lips, chin, nostrils,nose and at times also on your gums. They are referred as “Cold sores or “Herpes labialis”. They are caused by the Herpes Simplex Viruses (HSV-1). If left untreated, they exists for a period of 8 to 12 days. In some severe cases, it may last long for more than a month’s time. With these cold sores, you might find it difficult to open your mouth and often find difficulty while eating food. They are contagious in nature and can spread easily from an infected person through physical contact or through saliva. Here are some amazing home remedies that you can try at home and get rid of the cold sores overnight. 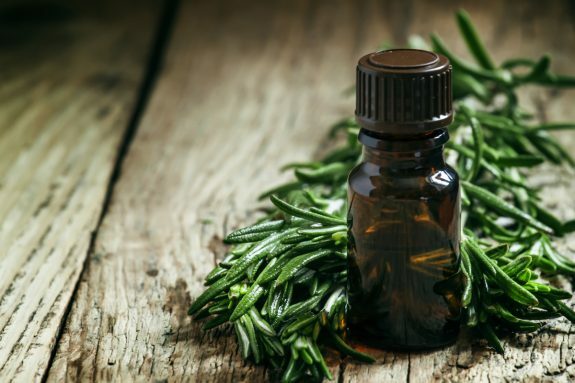 The oil is extracted from Tea Tree or Melaleuca. It has high antiseptic properties and helps in healing wounds that are infected with Bacteria, Fungi, and Viruses. The oil is extracted from the Australian Native plant termed as “Melaleuca”. Procedure: Apply the oil on the cold sores with the help of the cotton swab. Apply it multiple times a day before going to sleep. This helps the cold sores to dry off and clears your skin completely. Tea Tree oil helps in maintaining a glowing skin by clearing the acne on your face. It can also be used to remove the makeup. They are used to soften your dry cuticles. It also helps you in fighting the foot odor. Used as a remedy to eliminate toenail fungus. This is also used in the treatment of chickenpox. Helps in treating yeast infections as well. 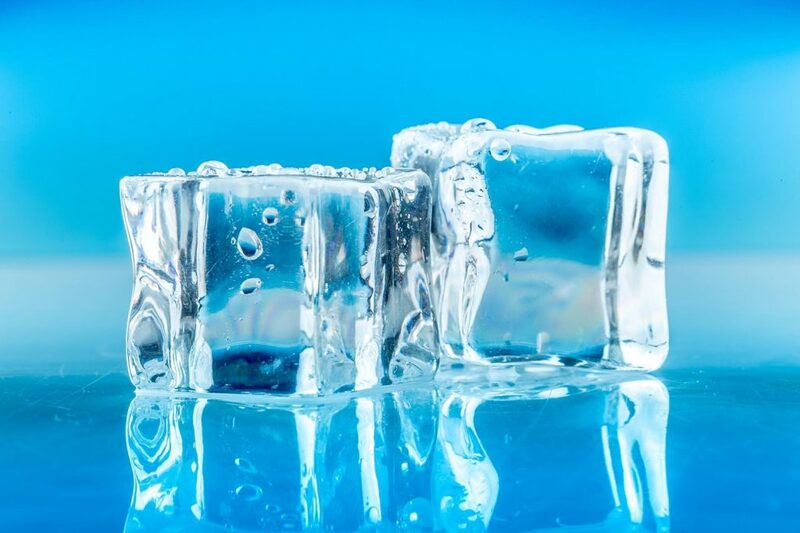 Ice has cooling properties that help in reducing the swelling and irritations when it comes to any wounds or infections. Procedure: All that you need here is few ice cubes. Apply ice cube on the cold sores. This results in reducing the swelling and irritation around the affected area. Ice has the property to heal the wounds much faster as well. Application : You need to apply the ice cubes for at least 5 to 6 times in a day. 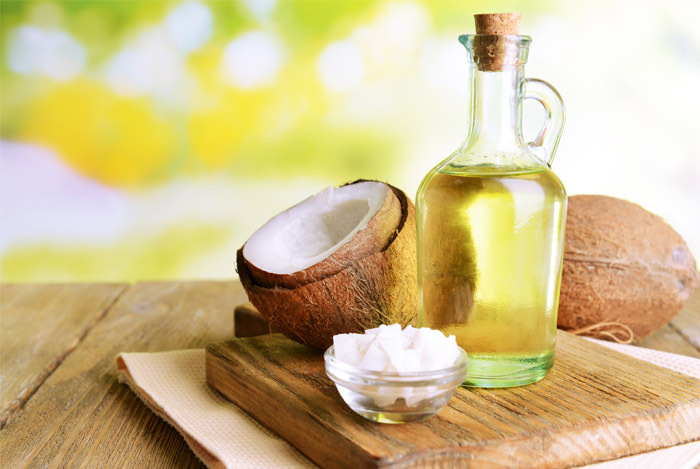 We see that coconut oil is widely used in many beauty products. They have good antibacterial and antifungal properties. They penetrate into the skin much faster and at the same time moisturizes the skin fast. Procedure: Apply coconut oil to the cold sores with the help of a cotton swab. Application : You need to apply for every two hours for the coconut oil to work and heal the cold sores on your skin. They act as the excellent natural skin moisturizer. You can use them as the makeup remover. Coconut oil acts as a deep skin cleanser and helps to keep your skin clean. By applying coconut oil on face, you will be able to protect the face from sunburns. They help in reducing the facial wrinkles. They prevent premature aging as well. 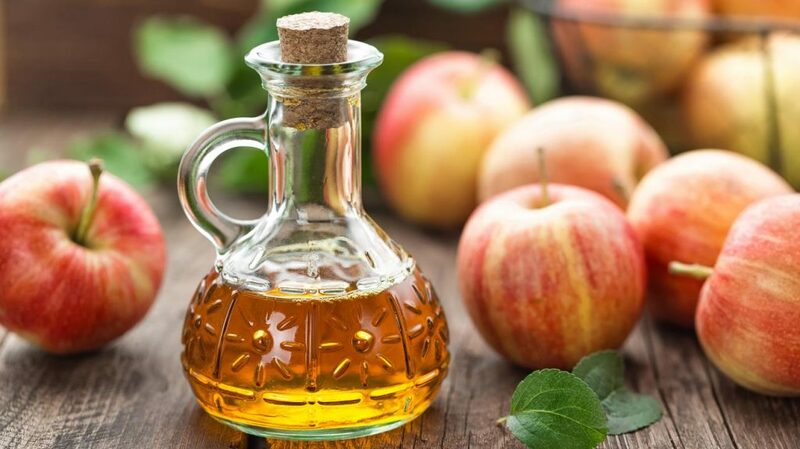 Cider Vinegar is known for its powerful healing components in it. They include acetic acid, potassium, magnesium, probiotics, and enzymes. Procedure: Apply the ACV directly onto the cold sores. By applying them repeatedly, they kill the virus that’s causing the infection and gives you relief. Application : You need to at least apply 3 times in a day before your sleep to get the effective results. It helps in conditions of low blood pressure. It improves your Diabetic condition and also helps in acid reflux. Assists in weight loss as well. 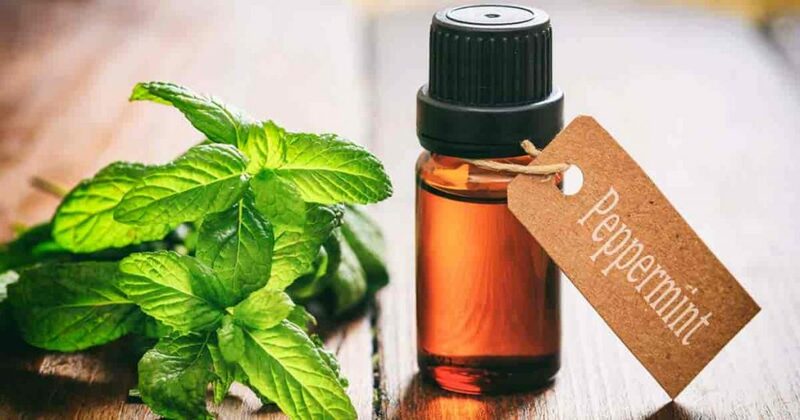 Peppermint oil extracts or the flavor is been used in many of the beauty products especially shampoos and soaps as they have a cooling effect. They have antiseptic and antimicrobial properties which in faster healing when it comes to injuries and infections. Ingredients: Peppermint Oil and Cotton Swab. Application: You need to apply at least three to four times in a day to get the effective results. With the regular use of peppermint oil, you will be able to get a brighter glowing skin. It helps in controlling Acnes. Peppermint oil in combination with other ingredients can act as a perfect facial scrub. It is also an active key ingredient that can be used for skin toning.It is good for dry scalp and helps to retain back the moisture. 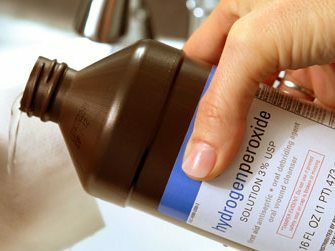 Hydrogen Peroxide is something that you can use at home to get a clear skin. It has antibiotic properties and helps in killing the bacteria that is infecting the skin. It purifies the skin and in and out and gives a shining glowing skin. It helps in removing any marks on the skin. Ingredients: Hydrogen Peroxide and Cotton Swab. Procedure: Apply the Hydrogen Peroxide directly on the sores with the help of the cotton swab. Application: You need to apply a minimum of two to three times a day. The sores will initially dry up and the size will come down. Over the period of time, the complete sore is gone. H202 is used as an active component when it comes to healing of cuts and infections. You can add H202 even in hotter water to have a rejuvenating detox bath. It also helps to cure the foot fungus. It can also be used as an ingredient in nasal spray when it comes to a sinus infection. It helps to heal the wounds due to mites bites or infection. It’s a perfect mouthwash that can use to keep your mouth germ free. You can keep your brush germ free by washing your brush with H202. You can also make toothpaste with H202 along with baking soda and use. 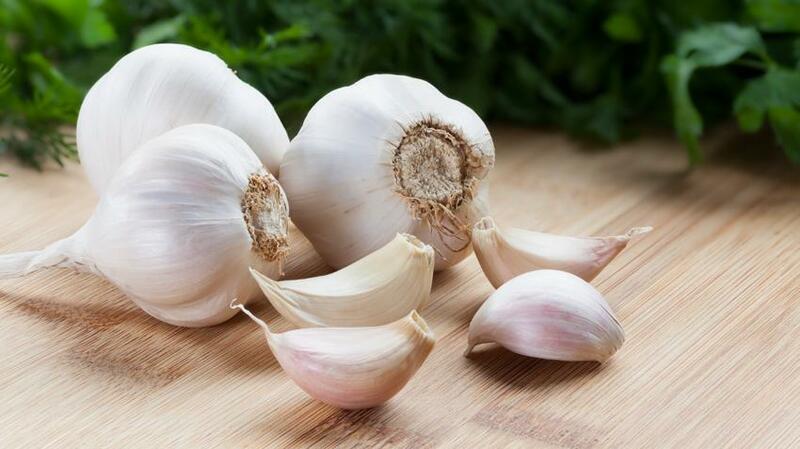 Garlic is considered to be good for health in many ways. That’s why it’s recommended to have garlic every day either directly or through the diet.They contain antimicrobial properties and is a good home remedy for most our skin problems. Ingredients: All that you need here is a small piece of Garlic. Procedure: Crush the garlic and apply it over the cold sores. The juice comes in contact with the infected sores and helps in faster healing. Application: You need to go for three times a day to get rid of cold sores. Helps to maintain the cholesterol levels. Also, helps to get rid of pimples. Lemon Balm oil is a type of herb hails from the mint family. They give a calming, soothing and refreshing effect on our skin. They contain anti-inflammatory and antibacterial properties which makes them in healing the cold sores. Procedure: Apply the oil directly onto the cold sores with the help of the cotton swab. Application: We suggest you to at least apply them three times a day. With the regular use of this oil, you will be able to have a healthy glowing skin. It sharpens your memory and your problem-solving skills. By consuming the herbs, it keeps you active and alert. Helps in maintaining a normal blood pressure. 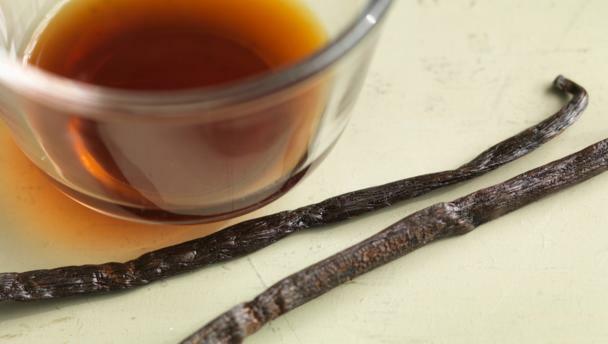 Pure Vanilla Extracts usually contain 35% of alcohol. Due to this, they do not allow the virus or bacteria to grow and survive. They curb the growth and help in getting rid of cold sores faster. Ingredients: Vanilla Extract and Cotton swab. Procedure: Apply the vanilla extract onto the affected skin directly. Application: You need to apply at least four to five times a day to get the effective results. They contain antioxidant properties, hence they help the body against the harmful and toxic components. They help in lowering the cholesterol levels and keeps you healthy. The basic thing that we can get off easily at home is salt. 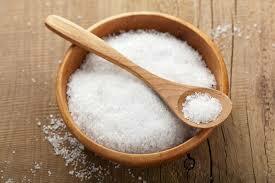 Salt has antimicrobial properties that help in fighting out the viruses.Here we suggest you go for sea salt instead of the powdered one. Procedure: Apply the salt directly to the sores and press hold them for a minimum time of 30 seconds. Application: You need to repeat the above at least twice a day. They help in reducing the signs & symptoms of aging. They help in regulating the water throughout our body. They are responsible to promote health PH balance in the cells. After salt, one such food thing that is available handy at home is Honey. It’s the most common intake when it comes to our day to day breakfast. People also skip the sugar and go for honey to cut down the extra calories many times. 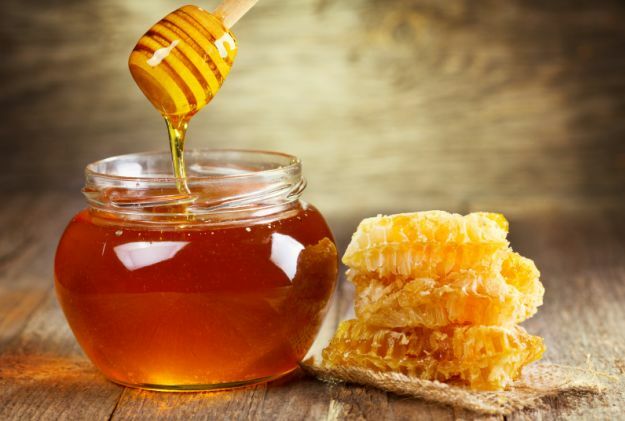 Honey contains antimicrobial properties and helps in fighting out the sores. They also soothe the skin bringing down the irritation. Procedure: Apply the honey directly to the cold sores and leave it for some time before you can wash them. Application: Go for two times a day as that’s more than sufficient. Helps in reducing Ulcers and gas problems or disorders. Helps in bring down a cough and throat irritation. Helps in reducing the risk of major diseases like Cancer and Heart diseases. 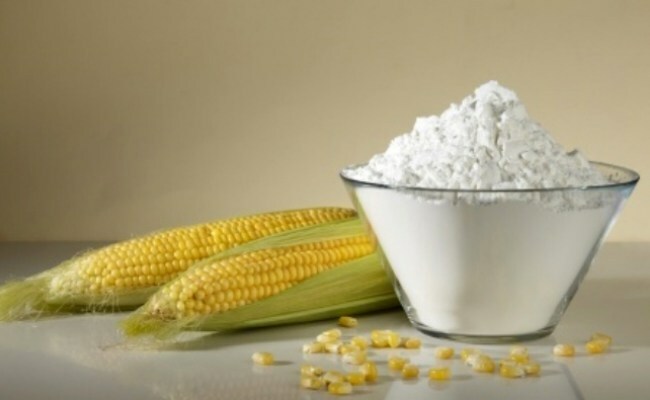 Cornstarch is something that we all keep handy at home and use it for most of the fries. They have anti-inflammatory property. They help in soothing the sores and bring down the inflammation. Procedure: All you need here is corn starch powder and water to make it in a paste form so that it can stick on to the skin for a long time. Procedure: Once the paste is ready, apply the paste directly onto the cold sores. Application: Go for this at least five times a day. They are a good source when it comes to some of the essential minerals. They include Calcium, Iron, Magnesium and Zinc. They are used in most of the first aid treatments. They contain anti-inflammatory, antispasmodic, decongestant, deodorant, antiseptic, antibacterial properties due to which its most preferred for any kind of wounds, cuts, injuries, blisters, and sores. Ingredients: Eucalyptus Oil and Cotton Swab. Procedure: Apply it to the sores directly. Application: Apply the oil for every hour of the day to see the changes for yourself. 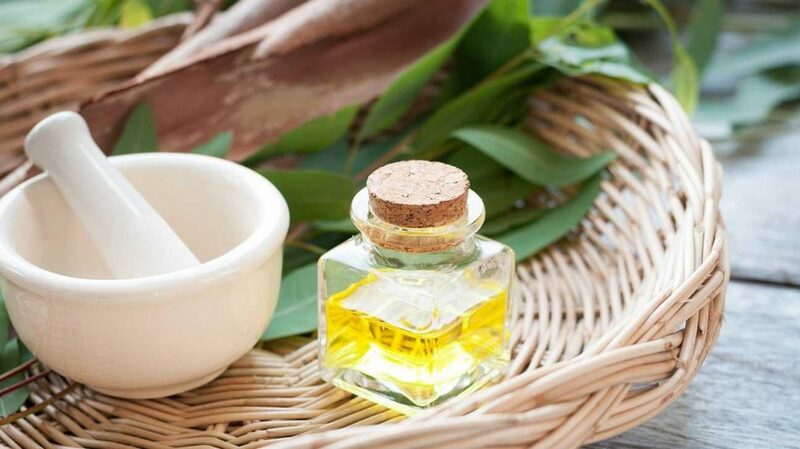 Eucalyptus Oil is considered to be the best hair nourishment. It can be applied to the hair with a little of coconut or olive oil as per your choice. It helps in keeping the germs away. Can be used to keep your hands clean and germ-free. It’s good to take it for sinus, allergies along with respiratory problems. One of the easiest ways to tackle cold sores is with the use of milk that is always available in our homes. 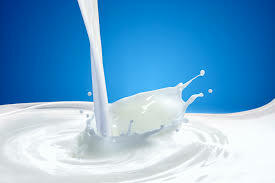 Milk has antiviral and antibacterial properties that can fight and heal the cold sores as early as possible. They also give a soothing effect when applied. Ingredients: Half or one big spoon of milk and cotton swab. Procedure: Put the cotton swab in the milk and apply the same to the cold sores. Application: Follow the above for every two hours in a day. It’s a major source of Calcium and known to strengthen our bones. It’s also a rich source of Vitamin D that is required for the body. 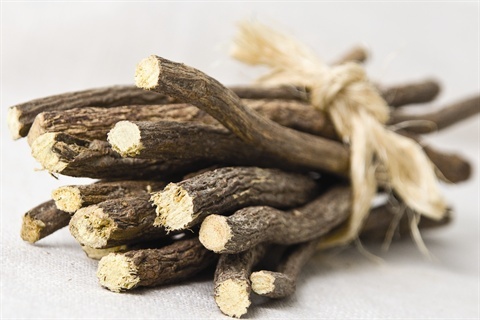 Licorice Root is a herb that consists of Glycyrrhizin. Glycyrrhizin is anti-inflammatory in nature and so helps in reducing the pain and irritation and the cold sores gives a soothing relief. Ingredients: Licorice Root powder and petroleum jelly. Procedure: Mix the powder with the jelly and apply the paste to the sores directly. Application: You need to apply at regular intervals till you see an improvement. It helps in reducing phlegm and respiratory signs & symptoms. It also helps in digestion related problems. 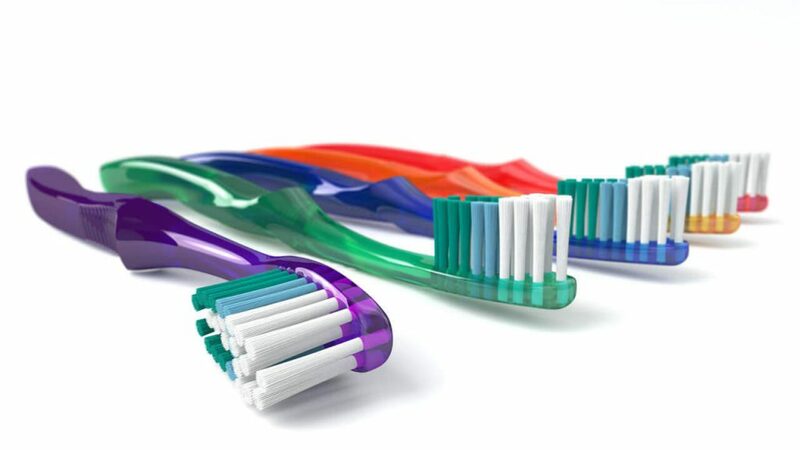 Using the same old toothbrush might also lead to ulcers and cold sores as they help in germ production. Doctors recommend changing the brush for every 3 months. So if you getting cold sores or ulcers then try changing your toothbrush. Try out the above remedies and if you are not able to see any improvement then we recommend you to do for a doctor and get the blisters and cold sores checked immediately. They will be more contagious especially during the blister phase. If the liquid comes in contact with any other parts of the body, it can easily spread. Once the cold sores are in the process of getting healed, proper care should be taken until they completely disappear. If not give proper care, they may end up coming again causing a lot of pain. Cold sore viruses keep on recurring, so try to understand what’s causing or triggering them and try to avoid such things. It’s always better to try out with simple home remedies that have no side effects and go for medicines in case you need some help. Home Remedies For Getting Rid Of A Hickey Instantly!